With the rising costs of energy, the depletion of finite resources, and the projected long-term effects of emitting carbon into the atmosphere, using less energy for heating, cooling, ventilating and lighting a house is becoming extremely important. 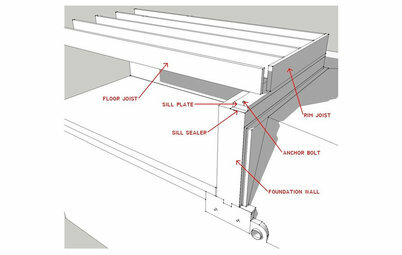 Passive daylighting — designing a house to take advantage of sunlight and minimize the use of artificial lighting — is one step in this direction. 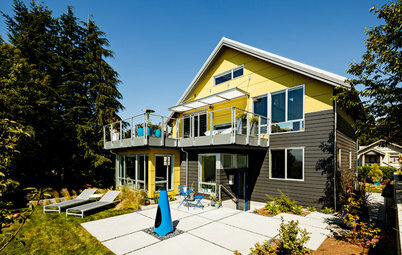 A number of external factors, such as adjacent buildings and trees, affect how much sun reaches a house and into particular rooms, but these variables can be controlled by adding windows on two or more sides to even out lighting and reduce glare, getting light into the center of deep plans, borrowing light from one space into another, and filtering sunlight through fixed and movable means to reduce heat gain. 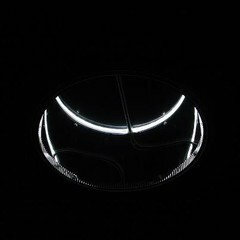 I've looked at how bringing light from two sides has been seen to be socially conducive while also having sustainable benefits. While that ideabook focused on windows, one situation that I've grown to appreciate is when light from windows on one or more walls is balanced by light coming from a skylight. Even large windows, like those here, can leave parts of a room dark, requiring artificial lighting for more even lighting. 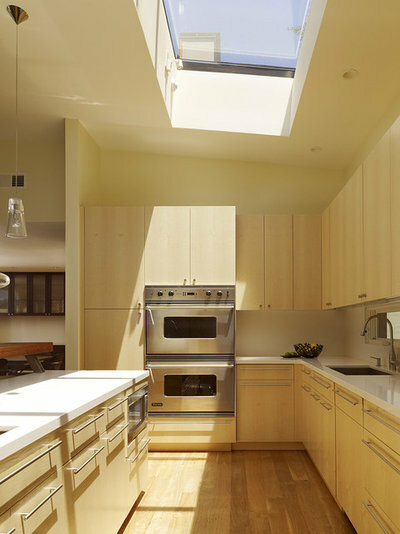 Skylights can bring more natural light (more direct, depending on the time of the day) to deeper parts of a house and its rooms. 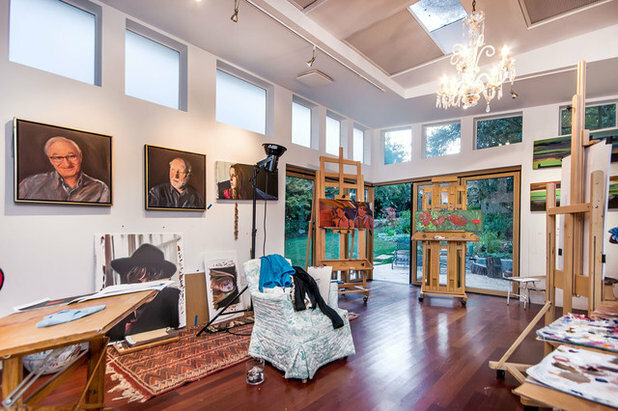 Artists' studios are very good precedents for how to create even levels of natural light within a fairly open space. 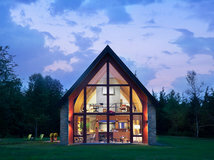 In this example we can see three types of apertures: sliding doors at the corner, clerestory windows (those on the left are translucent) and skylights with operable shades. Through windows on multiple sides and the ability to control how much direct sunlight enters the space, there is very little need for artificial lighting. 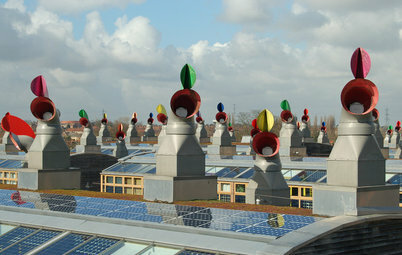 Here is a similar situation: Full-height windows at the corner are balanced by a large skylight. 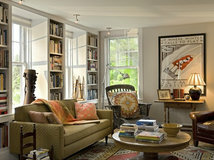 Note how the skylight also serves to give the large, open plan a focus over the seating area. 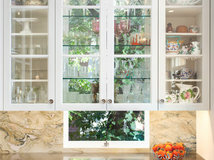 With large, open plans — kitchen, dining and living spaces sans dividing walls — it's often necessary to find creative ways to bring natural light to the parts most removed from the exterior walls. Light from a clerestory window serves this kitchen, balancing the light that comes from the side (which would be behind us in this photo). 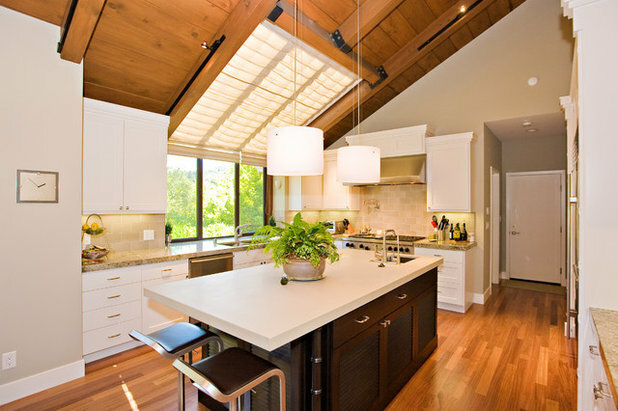 Skylights are an effective means of bringing additional natural light to kitchens, an important consideration, given that artificial light can affect the color rendition of foods. But this photo makes it clear that as the sun traces its path overhead, its direct rays can lead to heat gain (requiring more air conditioning). 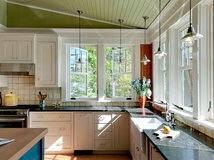 Therefore some sort of operable shade is a good idea for a skylight, just as blinds and curtains are needed for windows. 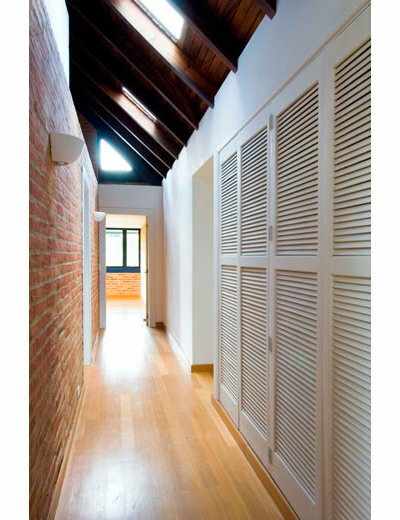 Another space that can be found in the middle of a plan (and therefore without enough natural light) is the hallway. 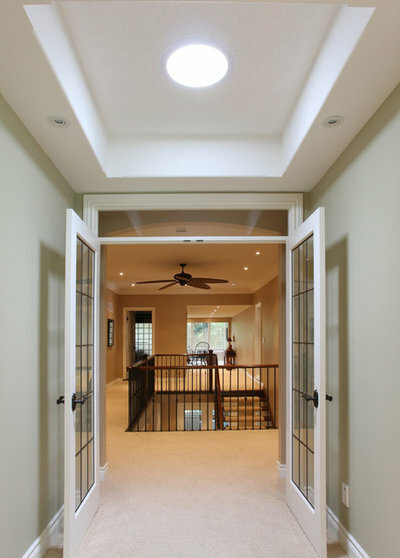 When possible, skylights are an effective means of bringing light to hallways and reducing the need to flick the light switch when moving from room to room. 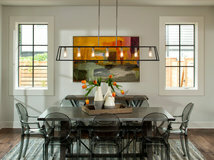 This example shows part of a master suite that clearly benefits from the solar tube overhead. Compare the light level in the foreground (without any artificial lights on) with the space above the stair, where a number of downlights are on. Not only is it brighter in the foreground, but the quality and color of light is superior. 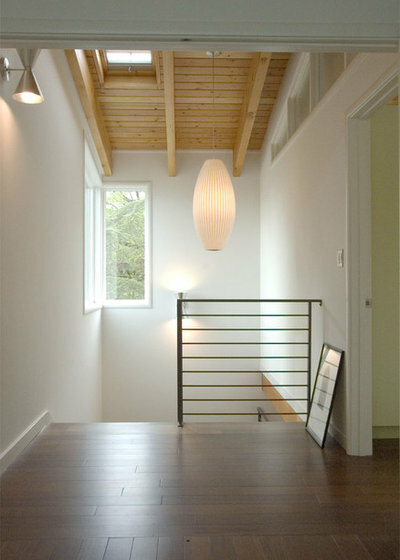 Like hallways, stairs can sometimes be buried within a plan or for various reasons not be given any windows. 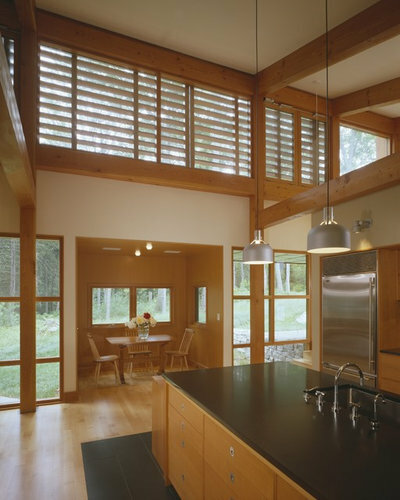 These vertical spaces are great for windows and skylights, since light can filter into adjacent spaces and the chimney effect can draw up warm air through operable skylights (more on that in a future Ideabook on passive cooling). This example shows not only the benefits of the window and skylight, but also that the room on the right is borrowing light from the stair and hall via clerestory windows. 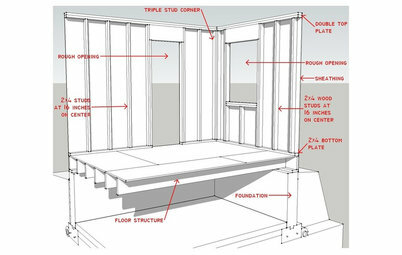 Borrowing light — bringing light from one space to another through openings in walls or through translucent surfaces — is best achieved through clerestories, for these high openings still allow walls to be used with furniture, such as this bed. 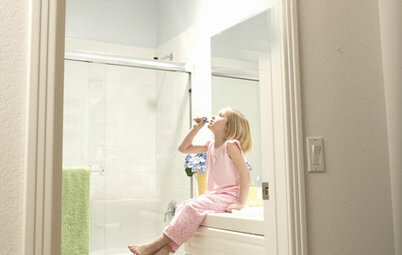 It's worth taking a look at the bathroom on the other side of the wall to see how the borrowing benefits both spaces. 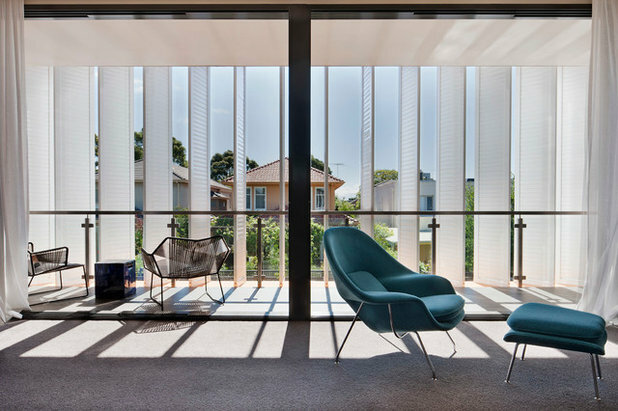 Another means of borrowing light is through translucent surfaces, such as the sliding panels that separate this home office from the hallway. 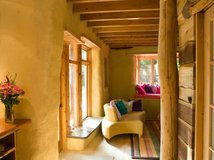 When they're open, plenty of light spills in, but when more privacy is needed, the light levels are still pretty high. 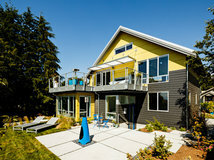 Yet for all the advantages of skillfully bringing daylight into houses through windows, skylights and even solar tubes, it is possible to have too much sun. 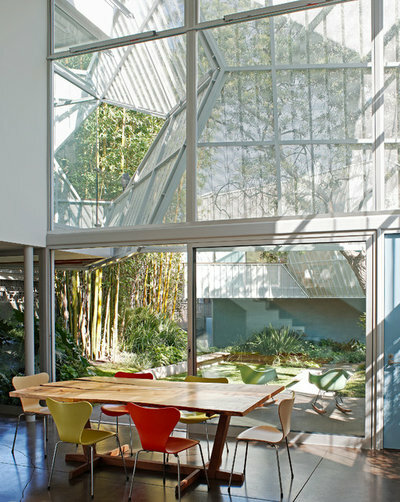 Expansive glass walls can have their appeal, but the light that floods a space can be unbearable at times, so means of filtering sunlight should be explored. 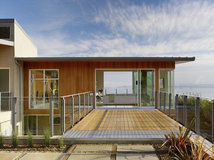 This house in Los Angeles makes a statement with folded perforated sheets that jut from glass walls. 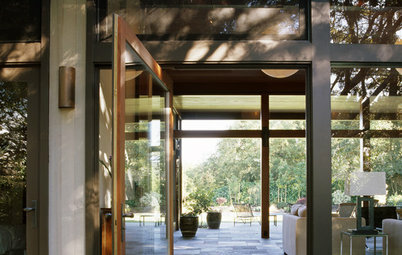 The combination of screen and trees does a great job of filtering the sunlight entering the house. The design of louvers, screens and other types of shades should take exposure into account: Which direction does the window face? 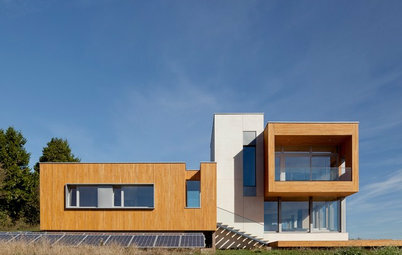 Shades for south-facing windows (in the northern hemisphere), for example, should be horizontal to address the high sun, but a western facade (such as the one shown here) should be vertical to deal with the low sun as it moves on its horizontal course across the sky. It's also a good idea to be selective about the use of shades. These louvers, for example, make sense with the clerestory windows, for they cut down on the sun where views aren't as important. Below them at eye level, vision glass preserves the view. 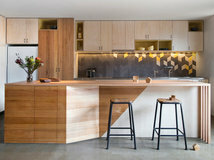 Note that even the small eating nook has small windows on at least two sides, bringing in enough light for the scale of the space and the framing views at head height when someone is seated. 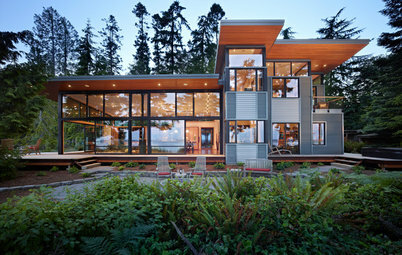 I really like some of these window and skylight designs! 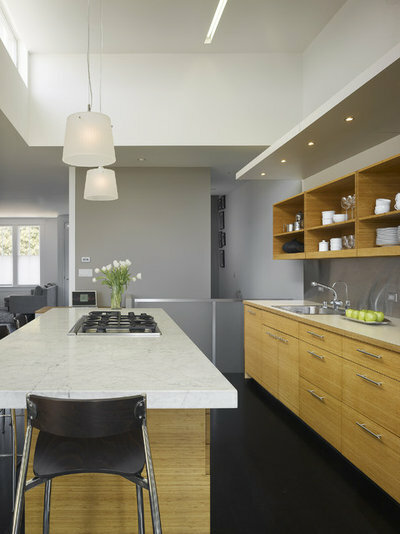 I have been looking for a way to get a little more natural lighting in my home, particularly the kitchen and living room, and along with expanding the windows to floor-to-ceiling, I'd like to have a skylight installed. But I do like your point about heat, because in a kitchen particularly, it's important to remember that more sunlight will make the room a lot hotter, so you may need more air conditioning. Thanks so much for writing! I am going to be moving into a new apartment that doesn't get much light. How can I bring in more light since I can't install skylights or add windows?